WINONA LAKE — For the eighth year in a row, the Kosciusko Kettleheads invite the community to Homebrew Fest. Anyone age 21 and older can sample and vote on a variety of unique brews while helping raise money for Combined Community Services. This year’s event will take place from 6 to 9 p.m. on Saturday, June 23, near Cerulean Gardens, Winona Lake. The event is a fundraiser for CCS to help with the organization’s energy assistance program. New this year, when someone from the event wears their bracelet and purchases items at Cerulean Gardens, they will donate 10 percent of sales to CCS. Approximately 300 people are expected, so those wishing to attend will need to reserve tickets quickly. The Kettleheads ask that no one younger than age 21 be present at the event and that all who come to sample also bring a designated driver. 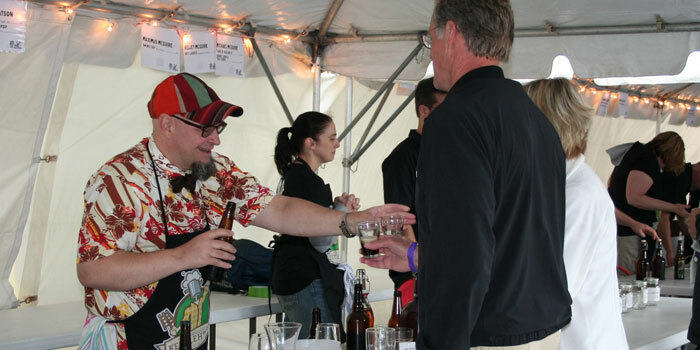 Each year, there are around 40 unique brews including Darren Deffenbaugh’s black IPA Skidmark, Aaron Winey’s Czech lager, Lorraine Deffenbaugh’s molasses stout and many other member concoctions. With a large variety of styles, attendees are destined to find multiple favorites. Fans will determine their favorite beer in a token-a-vote contest and the winning brewer will take home a traveling trophy. Jars will be placed at each table for voters’ convenience. One of the big draws of the event is the ability to talk to each brewery about their creations. Attendees will be able to ask the brewers questions, learn about each individual brew and spend time with other beer enthusiasts. Last year, the event raised around $7,400 for CCS’s utility assistance. In the winter months, many families seek help once their utilities are shut off. CCS Executive Director Steve Possell explained that the amount of families helped varies on how much assistance each family needs. He estimated that around 30 to 40 families were helped last year. “It’s really needed. We’re just happy to tag along again,” said Possell. Winey turned to the Kettlehead motto, “brew good, do good,” to explain why the group continues to partner with CCS for the event. Tickets are $25 and are sold in advance or at the door for as long as they last. A limited number of VIP tickets are also available for $45 apiece and include a commemorative glass, snacks from The Garden, exclusive beers and early admission. Additional information and a link to order tickets is available here. If you would like to donate to CCS’s utility assistance but can’t attend the event, visit online.